INDUSTRIAL QUALITY EQUIPMENT THAT GETS THE JOB DONE. You can count on Postel for all your heavy lifting. Postel is the preferred company for tilt wall projects in the Houston area. We've lifted & set single tilt wall panels over 88 feet tall and also walls over 250,000 lbs. Postel is able to lift & set the largest tilt wall panels in our industry. It doesn't stop with tilt walls, Postel is known for some of the largest and most complex reaches in our industry. Postel operates a large fleet of cranes. 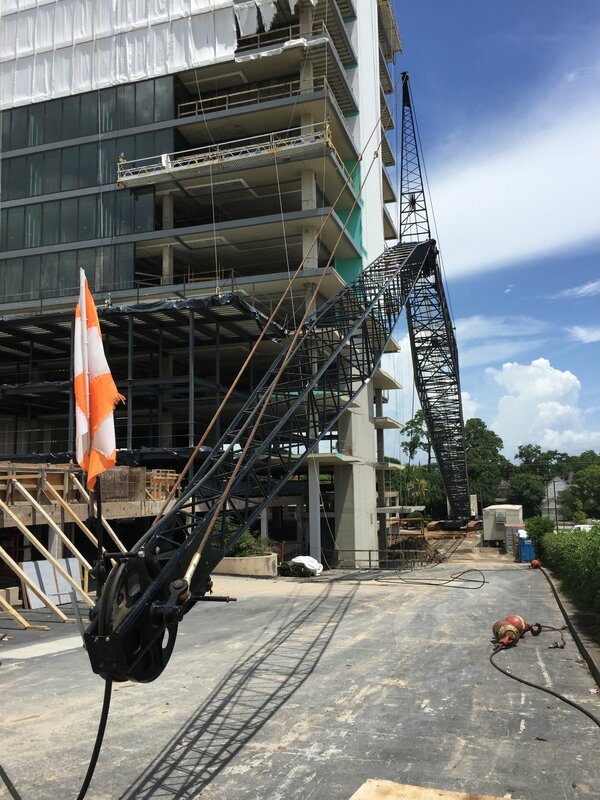 These cranes range 100 ton to 330 ton lattice boom crawler cranes, from 17 ton to 110 ton hydraulic truck cranes and from 125 ton to 200 ton lattice boom truck cranes. With this vast range of cranes, all our your lifting needs are within reach.